两年来，基尔罗格一直领导血窟氏族的残部躲避着联盟的追捕。就像其他活下来的氏族酋长一样，他受命前往黑暗之门，却发现泰隆·血魔已经成功的引再次打开了黑暗之门，而先到一步的格罗姆和他的战歌氏族，已经同整个部落一起被重新集结在耐奥祖的麾下。 Kilrogg informed Teron about the status of orcs on Azeroth and returned home. 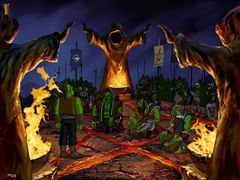 After returning to Ner'zhul in the Hellfire Citadel, the old shaman decided to keep the wise tactician and his orcs with himself acting as his bodyguards. 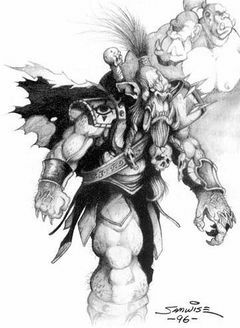 When Ner'zhul was ready to move, Kilrogg insisted to give Hellscream new orders, but Ner'zhul disagreed. 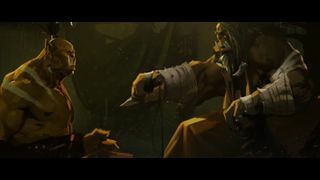 On the way from Hellfire Citadel to the 黑暗神殿 to begin the ritual, Ner'zhul — accompanied by Kilrogg and Teron Gorefiend — made a stop in the ruined draenei necropolis of 奥金顿, a prospect that frightened the usually-fearless chieftain, believing that it would doom them if they went there. However, he eventually gave in, accepting that it was necessary to rest there for a time on their way to 影月谷. 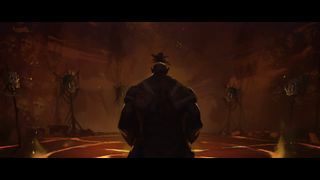 It was there, in the depths of the 暗影迷宫 — slowing the Alliance forces enough for Ner'zhul to make his escape — that Kilrogg met his end. 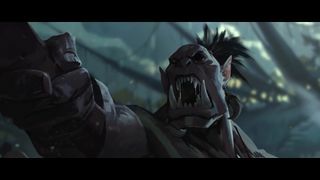 In a duel with Alliance force commander Danath Trollbane (honorable, to the latter's surprise), the human threw his blade at Kilrogg's throat, taking advantage of the chieftain's half-blindness. 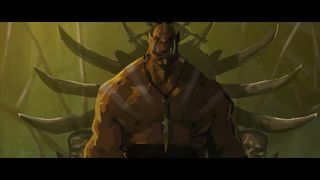 Kilrogg's throat was slashed open, but he managed to declare that by his blood the Horde would live and that he was returning to his ancestors. His eye glazed over, and he toppled sideways landing heavily on the floor. ↑ 1.0 1.1 1.2 Rosenberg, Aaron; Christie Golden. 《Beyond the Dark Portal》, 322. ISBN 978-1-4165-5086-0. ↑ Grubb, Jeff. 《The Last Guardian》, 221. ISBN 978-0-6710-4151-9. ↑ Blizzard Entertainment. 《Warcraft II: Tides of Darkness Manual》, 65. ↑ Rosenberg, Aaron 1. 《Tides of Darkness》, 329. ISBN 978-1-4165-3990-2. ↑ Bennie, Scott; Richard Farrese, Bob Fitch. 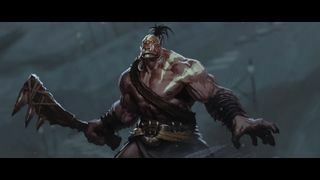 《Horde Player's Guide》, 172. ISBN 9781588467720. ↑ Rosenberg, Aaron; Christie Golden. 《Beyond the Dark Portal》, 80-82. ISBN 978-1-4165-5086-0. ↑ Rosenberg, Aaron; Christie Golden. 《Beyond the Dark Portal》, 273-275. ISBN 978-1-4165-5086-0. ↑ Rosenberg, Aaron; Christie Golden. 《Beyond the Dark Portal》, 277. ISBN 978-1-4165-5086-0. ↑ 14.0 14.1 Blizzard Entertainment. 《Warcraft III: Reign of Chaos Manual》, 19. ↑ Rosenberg, Aaron; Christie Golden. 《Beyond the Dark Portal》, 317. ISBN 978-1-4165-5086-0. ↑ Rosenberg, Aaron; Christie Golden. 《Beyond the Dark Portal》, 320. ISBN 978-1-4165-5086-0.